From the author of the mega-bestselling, prize-winning New York Times bestseller Empire of the Summer Moon comes a groundbreaking account of how Civil War general Thomas “Stonewall” Jackson became a great and tragic American hero. How did he do this? Jackson marched his men at a pace unknown to soldiers of the era. He made flashing strikes in unexpected places, and assaults of hard and relentless fury. He struck from behind mountain ranges and out of steep passes. His use of terrain reminded observers of Hannibal and Napoleon. His exploits in the valley rank among the most spectacular military achievements of the 19th century. 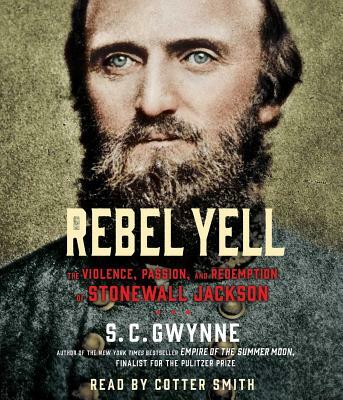 Considered one of our country’s greatest military figures, a difficult genius cited as inspiration by such later figures as George Patton and Erwin Rommel, and a man whose brilliance at the art of war transcends the Civil War itself, Stonewall Jackson’s legacy is both great and tragic in this compelling account, which demonstrates how, as much as any Confederate figure, Jackson embodies the romantic Southern notion of the virtuous lost cause.